This product is available at FastTech, AliExpress, Banggood, Amazon.com, TOMTOP Technology Co., Ltd, Ebay, Cafago. At fasttech.com you can purchase BAKON 2-in-1 Hot Air Rework Station Soldering Iron Heat Gun Kit for only $41.27, which is 83% less than the cost in Amazon.com ($249.80). 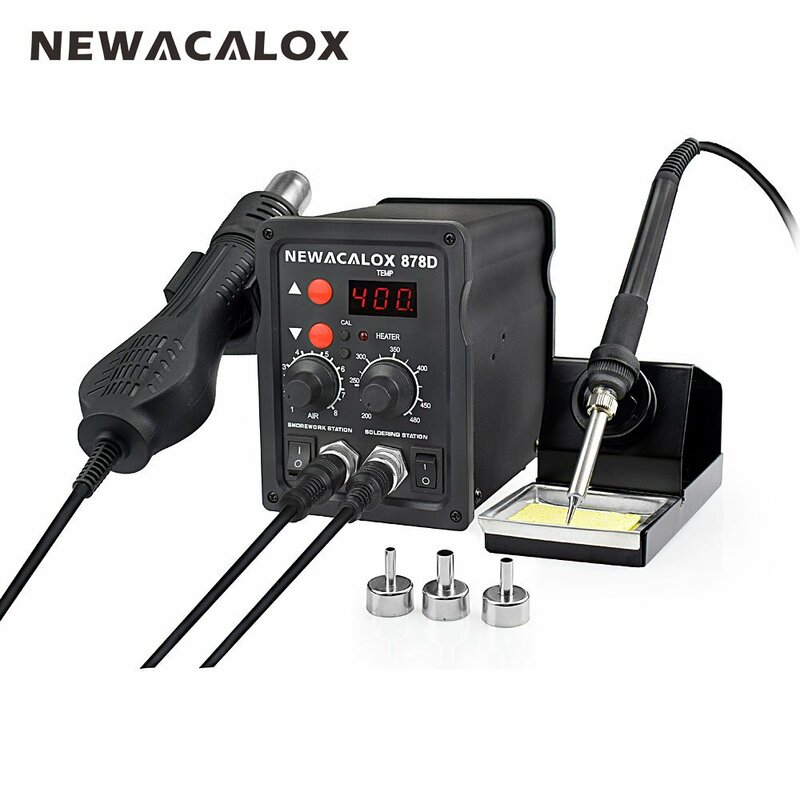 The lowest price of New & Improved X-Tronic MODEL 5040-XR3 All In One Hot Air Rework Soldering Iron Station With Preheater. Now Includes Plug & Play Hot Air Gun With Iron Holder & Sponge Cleaner was obtained on 8 February 2018 13 h 52 min. Soldering station (soldering) and accessories for SMD or CMS components. Let’s start with this video of U = RI that explains very well how to prepare the circuit, place the components (with a microscope) and solder with a hot air nozzle. Or this one (sorry for the audio quality) with a traditional soldering iron and tin wire if you do not want to invest in specific hardware. If you have small runs or your budget allows, you can opt for a reflow oven. We find about 220 € at most online merchants.